A stranger just put Kelsey’s boyfriend in a coma. The worst part? She asked him to do it. Seventeen-year-old Kelsey is dealing with a lot – an abusive boyfriend, a gravely ill mother, an absent father, and a confusing new love interest. After her boyfriend attacks her in public, a stranger on the end of the phone line offers to help. Kelsey pays little attention to his words, but the caller is deadly serious. Suddenly the people Kelsey loves are in danger, and only Kelsey knows it. Will Kelsey discover the identity of the caller before it’s too late? Broken Silence opens with a heart-rending chapter and lays bare the emotional turmoil that is Kelsey’s life. Living in her brother Pete’s flat with his two friends the misery of her situation is told via the peeling wallpaper, damp patches and the rejection by her father and most tellingly the bruises she is trying to hide. With her mum now in a care home and her father long disappeared seventeen-year-old Kelsey has had to move into her brother’s flat along with his flatmates Ben and Aiden. She feels unwanted and unloved and is increasingly confused by her boyfriend, Mike’s behaviour. The author does a fantastic job of showing and not telling as we quickly pick up clues that he’s not the most caring of partners and when we meet him this view is soon justified. She has created a wonderfully authentic character in Kelsey. The vulnerability, confusion and teenage angst all shine out of her. The relationship between her and her brother is fraught with tension as each of them resent the position they have found themselves in. At times I wanted to shake Kelsey and make her tell someone but then I remember she is only 17 and has been through so much trauma in her life. It was impossible not to feel for her. When the prank calls in the flat start nobody pays much attention but when it is clear that Kelsey is being targeted by the caller and that they are ready to seek revenge on those who hurt her things start to take a more sinister turn. An undercurrent of malevolence runs throughout the novel with the tension ramping up each time the phone rings. 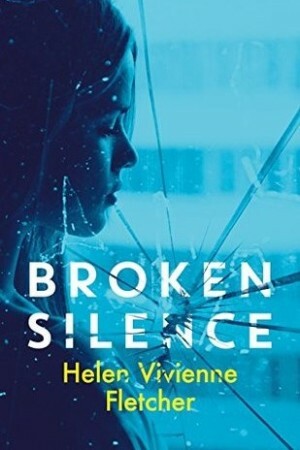 Broken Silence is a hard-hitting and dark read with an exploration of domestic abuse running throughout. At times it was a difficult read but it was a well written and authentic portrayal of a young girl caught up in the midst of it all. The issue of peer bullying and sexual intimidation and harassment were also covered, never ever gratuitously but authentically in the portrayal of how someone Kelsey’s age would deal with it. The finger of suspicion points to a number of characters in the novel leaving a trail of hints and red herrings leading the reader astray. I could easily see this transfer onto the big screen; it has all the right elements to make a fabulous psychological thriller movie to keep audiences glued to their seats. It certainly kept me glued to the pages, I read it in one sitting with a short sleep break! Sharon Bairden is a Scottish book blogger and manager in the charity sector who lives just outside of Glasgow. She blogs at Chapter in My Life. This review was originally published on her website as part of the 2018 Ngaios blog tour, celebrating this year's finalists, and is reprinted here with her kind permission. You can follow Sharon on Twitter.